Ιδανικό για χαλάρωση και διασκέδαση, το Rak kiyomizu βρίσκεται στην περιοχή Χιγκασιγιάμα της πόλης Κιότο. Το συναρπαστικό κέντρο της πόλης είναι μόνο 2.5 Km μακριά. Με την βολική του τοποθεσία, το ξενοδοχείο προσφέρει εύκολη πρόσβαση στους προορισμούς της πόλης που πρέπει οπωσδήποτε να δείτε. Επωφεληθείτε από ένα πλήθος ασυναγώνιστων υπηρεσιών και ανέσεων σε αυτό το ξενοδοχείο της Κιότο. Κατά την διαμονή σας σε αυτό το υπέροχο ξενοδοχείο, μπορείτε να απολαύσετε τα δωρεάν WiFi σε όλα τα δωμάτια, κατάστημα δώρων/σουβενίρ, υπηρεσία εισιτηρίου, φύλαξη αποσκευών, ασύρματη σύνδεση Wi-Fi σε δημόσιους χώρους. Το ξενοδοχείο διαθέτει 11 όμορφα διακοσμημένα δωμάτια, πολλά από τα οποία περιλαμβάνουν κρεμάστρα ρούχων, λευκά είδη, καθρέφτης, παντόφλες, πετσέτες. Εξάλλου, το ξενοδοχείο διοργανώνει πολλά ψυχαγωγικά δρώμενα έτσι ώστε να έχετε πολλά πράγματα να κάνετε κατά τη διαμονή σας. Με την ιδανική του τοποθεσία και τις καταπληκτικές του υπηρεσίες, το Rak kiyomizu θα σας ευχαριστήσει σε πολλά πράγματα. Thanks for the post !! I am looking forward to seeing you again. Place is very clean and comfortable. Junya provided very detailed instructions(videos) on how to get to the place from Kyoto Station. Security is state of the art. Was provided an email to unlock the front door as we arrived after 10pm. Toiletries were provided on both floors. They also provide free drinking water, they have a microwave and fridge for the guests. It was raining on our first day and Junya let us borrow umbrellas at no extra charge. There’s a cute cafe about 2-3mins walk from the place. Near a Family Mart and bus stop. Had to pay accommodation tax of 800yen and was provided a sheet explaining why. Would definitely stay here again and would recommend to friends! We will definitely stay here again when we go back to kyoto.we had a very short stay here,but loved everything about the hostel. Location was close to gion,kiyomizu-dera temple and nishiki market. There’s a nearby bus stop if you plan to go to elsewhere. We loved that our room is clean and the shared bathroom and toilet is too. Junya the owner of the hotel is very helpful with regards to recommending restaurants and places to visit. Thanks for the post !! I was pleased to meet you! I am looking forward to seeing you again. I loved everything about Rak kiyomizu! From a state-of-the-art security to approachable and English-speaking staff, to spacious rooms and clean CR and shower rooms, everything is perfect! Though the nearest train station is 10 minutes away, still, I highly recommend this posh hotel to my friends and to all travellers to Kyoto. It is also situated near a supermarket where you can buy some supplies. The hotel is also very near some of Kyoto's sought-after temples and shrines. Very quiet at night. You can sleep peacefully. In a scale of 1 to 10, I'll rate them 9. We loved our stay here in the double bedroom. I’ve never stayed anywhere so clean and new before for such a fantastic price. It’s hard to believe it’s a hostel because it’s such a sophisticated property. Staff were helpful too. Amazed to see Aesop products being used. Really a luxury hostel - there’s no kitchen or common area but still we would stay here again. Thanks for the post !! When I stayed, a big earthquake occurred. Let me worry and worry, sorry. Please come to Japan again. I am looking forward to seeing you again. Thank you!! Thanks for the post !! Please come to Kyoto again. I am looking forward to seeing you again. Until the day we meet again !! 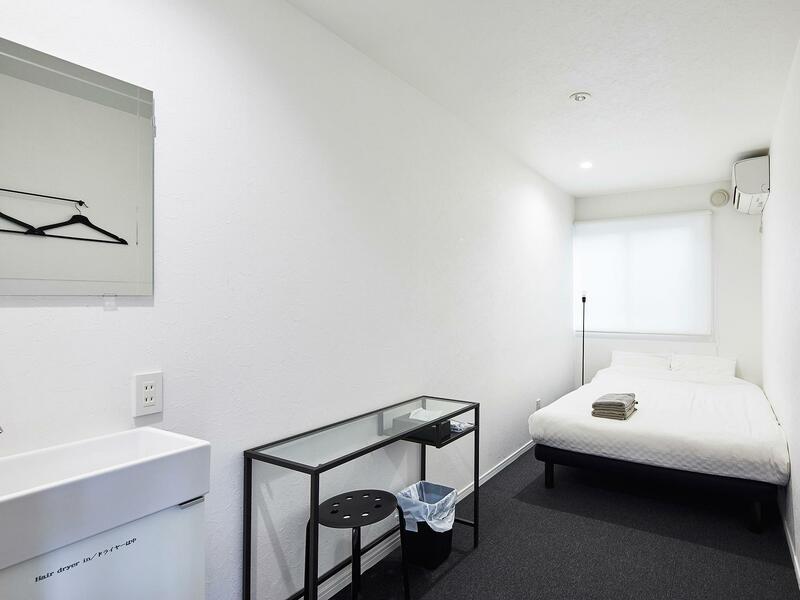 Rak Kyumizu is a small but extremely clean boutique hotel in a quiet residential neighborhood near Gion and Kiyomizu Dera Temple (within 10 minute stroll). Theres a bus station about 5 minutes away, and subway is about 7 minutes away. Junya the owner is very friendly and responds to messages fast (Facebook Rak Kiyomizu). Room is small barely room to move with 2 med suitcases but it was very comfortable. All amenites are provided but note that the Shower and Toilets are separate from the room (not a big deal, its just outside the door and its for individual use). Will stay again. Walking distance to Kiyomizudera and about 15 mins walk to Gion. Quiet neighbourhood away from the busy street so you definitely can get a good night's sleep. Overall clean, well maintained and sufficient facilities were provided. Thanks for the post !! It was a pleasure staying at my hostel for family trip !! Please come to Japan again. See you again!! 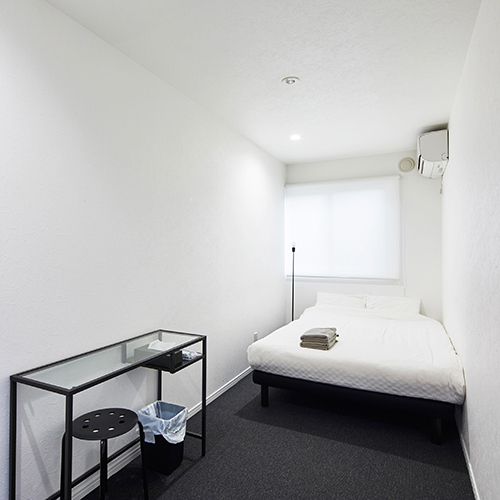 Eventhough the location is a bit difficult to find, but this hostel location is actually in central of Kyoto. The room is very clean and tidy. It is only walking distance to Kiyomizu temple, Subway station, and bus stop. The location is very nice! you can take the bus easily form , even you can walk to temples very closely! The room is very big! even we do the make up and dress up for our pre-wedding photo shooting in the room! 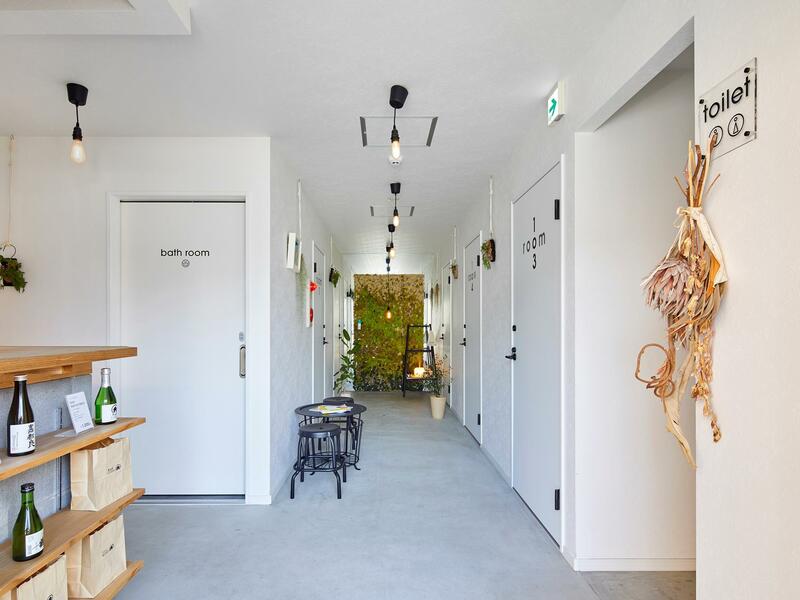 The hostel decoration and style is very simple but very nice! You must go the supermarket which located close to the hostel, the Bento is very yummy! one thing can be improved, which is there should be a timer outside the shower room. and the time can be set up by room guest, so the other guest can notice about how long to be waited for shower. Thanks for the post !! I am looking forward to seeing you again !! Stayed at Rak Kiyomizu to use as a hub to travel between Osaka, Nara and Kyoto. Overall it was a good experience and Junya is a a very accommodating host. 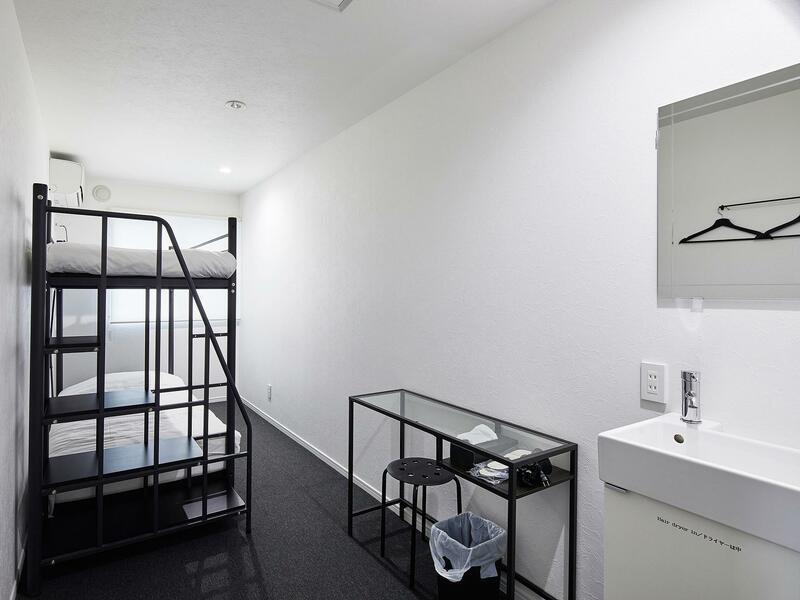 Location is strategic and close to Kiyomizu-gojo station (convenient access to tourist-y places like Fushimi Inari) and just a 10 mins walk from Kiyomizu-dera. Thanks for the post !! I am looking forward to seeing you again. Please come to Kyoto again. Very clean place. Good location and friendly staff. Highly recommend to all type of travellers. Thanks for the post !! Please come to Kyoto again. I would be happy if you choose RAK KIYOMIZU then. See you again!! Thank you!! The owner can be easy to keep in touch. The video that explain how to go to the hotel, the direction is very clear. You can walk to bus station or Kiyomizu dera. Everything is good and valued for the money. Recommend!! Thanks for the post !! Please come to Kyoto again !! I am looking forward to seeing you again next time! It have good location if you don't mind to share toilet. Its really clean and comfy for traveler that looking for cheap and near to tourist spot. I might book again if i m solo or with backpacker friends. Σιδηροδρομικός Σταθμός Kiyomizu Gojo στα 0.6 χλμ.